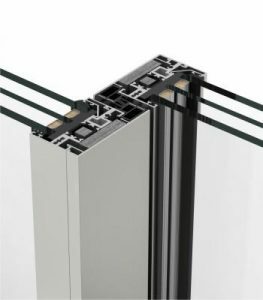 This brand new lift and slide door system has taken thermal insulation to a whole new level, with a whopping transmission value (UH) of 0.9 (W/m²K). This outstanding insulation is only possible due to the thermal breaking zone with 35mm & 24mm polyamide strips and cross-linked polyethylene. 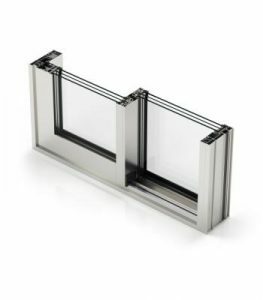 Also, there is the possibility of glazing the sash with up to 55mm thick glass giving it the opportunity to install double and triple glass chambers giving it excellent acoustic and thermal performance. 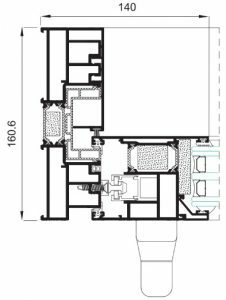 Due to the possibility of large dimensions this system allows large spaces to have as much natural light as possible without damaging thermal and noise cancelation performance. The sliding system works due to the sashes being mounted onto a mechanism which allows the door to be elevated when open but drops down back into place when the door is shut, allowing it to rest on a weather strip which greatly increases tightness creating better acoustic and thermal performance. It uses stainless steel rail to reduce friction which allows the user to open the doors smoothly.